Previously known as a “full structural survey”, a Building Survey is the most comprehensive property inspection and report currently available from the Royal Institute of Chartered Surveyors (RICS). When carrying out a Building Survey, our Chartered Surveyors will undertake a thorough internal and external investigation of all accessible areas of the building, and provide a detailed review of its construction and condition with the use of a traffic light system for condition severity. We can also tailor Building Surveys to address any specific concerns or requirements you may have. Defects uncovered by the report will be given a detailed description, as well as professional advice about how and when to address them appropriately. Our surveyors will also include estimated repair costs, allowing you to effectively plan a maintenance schedule and budget. Valuations and reinstatement costs for insurance purposes are not part of a standard Building Survey, but we conduct these at the same time for a small additional fee. Building Surveys are particularly suited to unusual properties, older structures or buildings constructed using unconventional methods or materials. 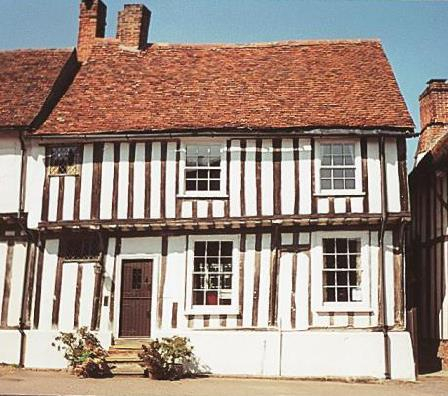 They are typically commissioned for period homes or listed buildings and are particularly valuable for understanding the common problems associated with original materials, as well as the best methods for preserving and maintaining them. 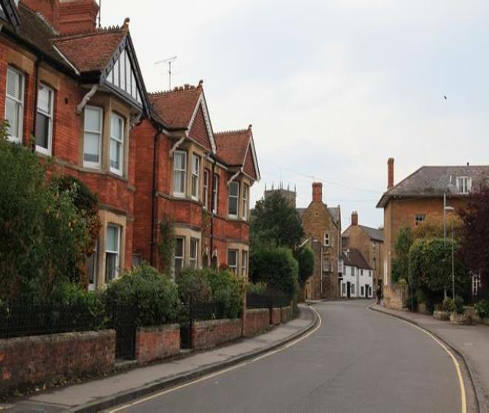 Where older homes (Edwardian, Victorian or earlier) have been modernised, altered or extended, a Building Survey will inspect the individual areas of the home as well as how the modifications are interacting as a whole building. Issues can often crop up where traditional materials (lime, brickwork etc.) has not been properly integrated with modern fixtures like glass, PVC or concrete, which a Building Survey will investigate. If a house has stood for decades (or centuries), why will it need a survey now? Every house requires a certain level of care, and there’s no guarantee that former owners of your period home have given it the level of attention it has required. 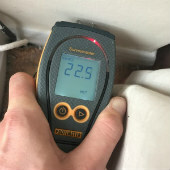 Damp may have been painted over, and the symptoms of “hidden” issues like timber decay may have been ignored for a long time. Without a Building Survey, it can be very difficult to determine whether your house is set to stand for another hundred years or is barely holding itself together. In September 2017, Able Surveyors carried out a RICS Building Survey with a reinstatement estimate for a property in Shenfield, Essex. 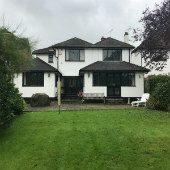 Just outside of Brentwood, we frequently work with homeowners and buyers in this area and are very familiar with the styles of property and the issues that commonly affect homes in Shenfield. With the promise of a station connected to the upcoming Elizabeth line, property prices in and around attractive commuter towns like Brentwood and Shenfield have seen a healthy growth over the last few years. 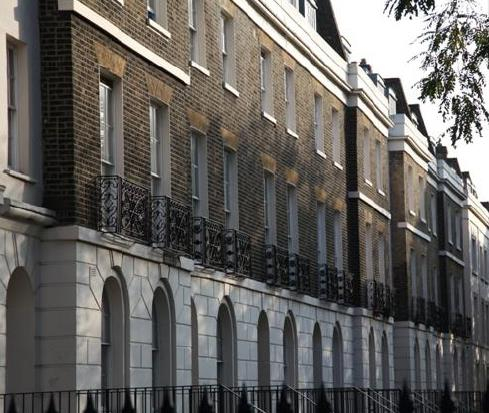 Average values for flats have increased to around £287,000 and buyers can expect a detached family home to set them back by £790,000. In August 2017, the national averages for the same types of home were £225,943 and £369,588 respectively. 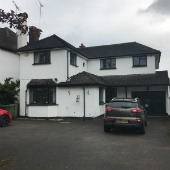 The home we visited was a five-bedroom detached property that had been built around 1960. Overall, we found the building to be in a reasonable condition with no defects that required urgent attention. There were a number of areas for improvement, however, ranging from small measures, such as insulating the pipes to the outside tap, to much more extensive work like installing uPVC windows and doors. You can see the full list of recommendations with cost guidance in section C of the report. 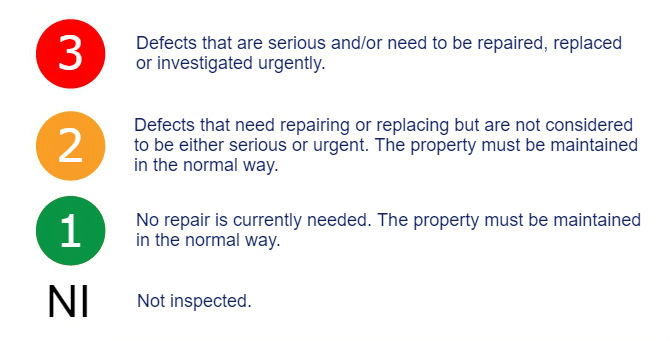 None of these matters affect the functionality of the property at this stage, but it is recommended that action is taken to ensure the ongoing comfort and good condition of the building. Certain measures have been suggested to protect the property from future damage, while others would maximise the potential value of the home. To see the full level of detail provided in a Building Survey, including photographs and traffic-light ratings, please click on the link below for the PDF. 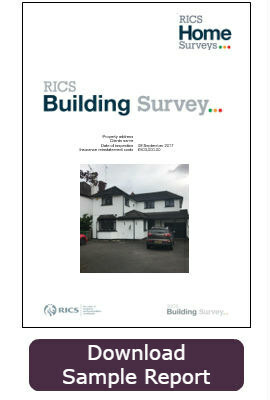 If you still aren’t sure about the best survey for your home you can compare the RICS Building Survey with our other RICS approved surveys, or call our team for advice.